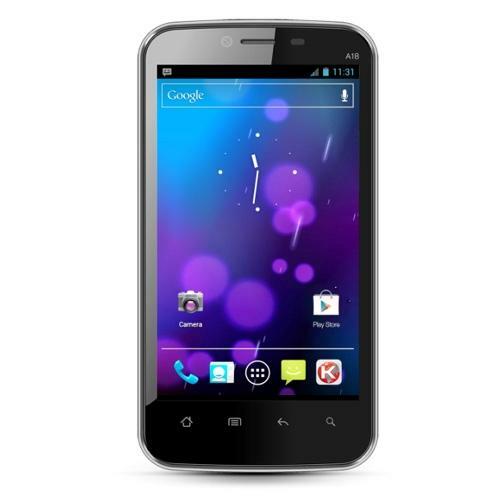 The device is a dual-sim featured handset which has almost all latest smartphone features in it. 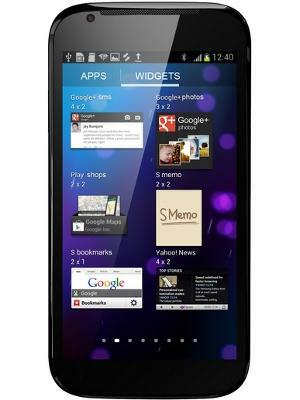 The phone comprises of a 5.0 inch sized TFT capacitive touchscreen display having a screen resolution of 480x854 pixels. Its dimensions are given as 142.2 x 72.6 x 11.9 mm. The touchscreen also supports multi touch facility. Nothing has been provided for screen protection. The main feature is that the phone uses Android OS v4.0.3 (Ice Cream Sandwich), which is the latest version of Android platform. The device is packed with a Central Processing Unit (CPU) and a Graphical Processing Unit (GPU). 1 GHz Scorpion processor is used as its CPU and an Adreno 200 GPU is also used in it. The camera is capable to capture quality images since it comes with a 5MP camera with LED flashlight. It also supports video recording. A secondary camera of VGA quality is used mainly for video calling purposes. Just like other smartphones this phone is also shows better performance in its memory feature. The handset has an in built memory of 4GB and a RAM of 512MB. It also supports microSD card which can be expanded to 32GB. The phone has latest connectivity features in it. It supports 2G, 3G (HSDPA, HSUPA), GPRS, EDGE, Bluetooth (v3.0 with A2DP), WiFi (Wi-Fi 802.11 b/g/n, Wi-Fi hotspot), GPS. A standard Li-Ion 2000mAhbattery is used which gives a standby up to 180hrs and a talktime of 5hrs. The main thing that we need to consider is its price. Actually this device is of low cost,i.e., at a range of Rs.9000 - Rs.10000 on online stores. The phone comprises of a 3.2 inch sized TFT capacitive touchscreen display of 256K colours having a screen resolution of 320 x 480 pixels. Its deimension are given as 103 x 57 x 13 mm . The touchscreen also supports multi touch facility. As a screen protection scratch-resistant glass is used. The main feature is that the phone uses Android OS v4.0.4 (Ice Cream Sandwich), which is the latest version of Android platform. The device is packed with a Central Processing Unit (CPU) and a Graphical Processing Unit (GPU). 800 MHz Cortex-A5 processor is used as its CPU and an Adreno 200 GPU is also used in it. The camera is capable to capture medium quality images since it comes with a 3.15MP camera. It also supports in recording video aty VGA quality. No secondary camera is used in this device. Just like other smartphones this phone is also shows better performance in its memory feature. The handset has an in built memory of 2.9GB and a RAM of 512MB. It also supports microSD card which can be expanded to 32GB. The phone has latest connectivity features in it. It supports 2G, 3G (HSDPA- 7.2Mbps, HSUPA- 5.76Mbps), GPRS, EDGE, Bluetooth (v2.1 with A2DP), WiFi (Wi-Fi 802.11 b/g/n, Wi-Fi hotspot), GPS. A standard Li-Ion 1500 mAhbattery is used which gives a standby up to 470hrs(2G), 545(3G) and a talktime of 5hrs(2G), 4hrs 30mins (3G). The main that we need to consider is its price. Actually this device is of low cost,i.e., at a range of Rs.9000 - Rs.10000 on online stores. The phone comprises of a 4.0 inch sized IPS, WVGA capacitive touchscreen display having a screen resolution of 480x800 pixels. The touchscreen also supports multi touch facility. As a screen protection no features are used. 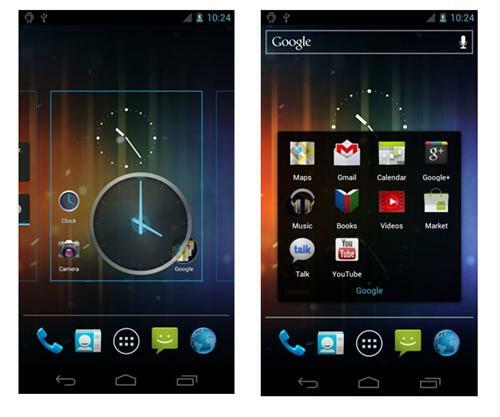 The main feature is that the phone uses Android OS v4.0 (Ice Cream Sandwich), which is the latest version of Android platform. The device is packed with a Central Processing Unit (CPU) of 1.2 GHz Dual Core Processor and a chipset of Qualcomm Scorpion is also used in it. The camera is capable to capture quality images since it comes with a 5MP camera with LED flashlight. It also supports in recording video. A secondary camera of 1.3MP is used mainly for video calling purposes. The handset has an in built memory of 4GB and a RAM of 512MB. It also supports microSD card which can be expanded to 32GB. The phone has latest connectivity features in it. It supports 2G, 3G , GPRS, EDGE, Bluetooth (v2.1 with A2DP), WiFi, GPS. A standrd Li-Ion 1420mAhbattery is used. The main thing that we need to consider is its price. Actually this device is of low cost,i.e., at a range of Rs.10000 - Rs.11000 on online stores. 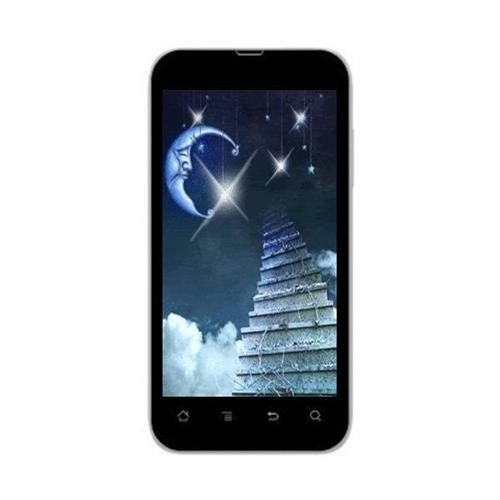 The phone comprises of a 4.3 inch sized IPS capacitive touchscreen display having a screen resolution of 480x800 pixels. The touchscreen also supports multi touch facility. As a screen protection no features are used. 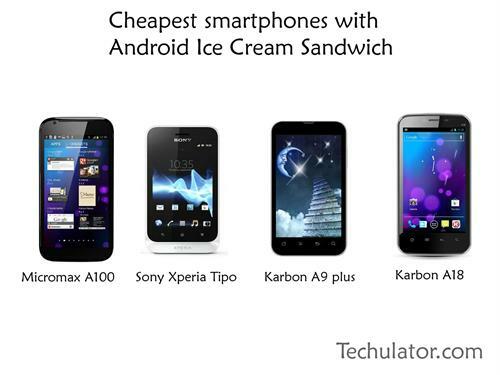 The main feature is that the phone uses Android OS v4.0 (Ice Cream Sandwich), which is the latest version of Android platform. The device is packed with a Central Processing Unit (CPU) of 1 GHz Dual Core Processor. The camera is capable to capture quality images since it comes with a 5MP camera with LED flashlight. It also supports in recording video. A secondary camera of 1.3MP is used mainly for video calling purposes. The handset has an in built memory of 1GB and a RAM of 512MB. It also supports microSD card which can be expanded to 32GB. The phone has latest connectivity features in it. 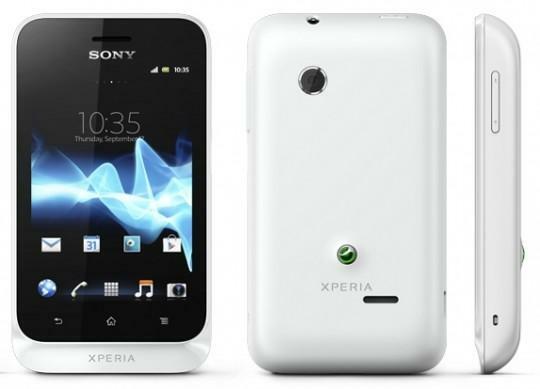 It supports 2G, 3G (HSDPA-7.2Mbps), GPRS, EDGE, Bluetooth (v4.0 with A2DP), WiFi (Wi-Fi 802.11 b/g/n), GPS. A standrd Li-Ion 1500mAhbattery is used. The main thing that we need to consider is its price. Actually this device is of low cost,i.e., at a range of Rs.9000 - Rs.11000 on online stores.